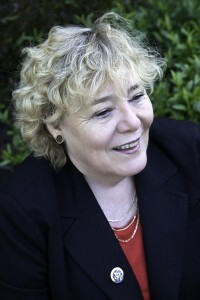 As Washington debates extending the interest rate cut on subsidized Stafford loans, Congresswoman Zoe Lofgren plans to hold a news conference on the topic 11 a.m. May 3 outdoors at the Associated Students House near South Fourth and East San Carlos streets. Five years ago, Congress cut the interest rate for subsidized Stafford loans in half, from 6.8 percent to 3.4 percent. But that was a temporary measure, due to expire July 1. Bouncing back to a 6.8 percent interest rate would affect 7.4 million students and cost each an average $1,000 over the life of their loans, according to the Obama administration. More than 8,420 SJSU undergraduates received a total of $34.7 million in 2011-2012 through the direct subsidized Stafford loan program. At this point, many Democrats and Republicans in Washington including Lofgren support extending the interest rate cut. The question is how to pay for it. The Congressional Budget Office estimates a one-year freeze on the interest rate for subsidized Stafford loans would cost $6 billion. Here’s more from The New York Times and CBS News.